I think that we could all agree that there are way too many workout templates and exercise philosophies out there. It can be quite overwhelming trying to decide which programs work and which ones are a waste of time. Fortunately, we are here to cut through all of that noise. Let’s face it. You are busy, and you have very little time to waste. This is why we created The Best Workout Template for Busy People. In Part 1, 3 Essential Principles of Exercise Routines, we discuss the basics of effective exercise training. It explains the 3 major concepts that are necessary to all training routines, and it also introduces the idea of functional exercises. In Part 2 Creating Quick and Effective Workout Routines, we outline the 6 exercise patterns that should be included in all training programs. We also go over how to determine the number of sets and reps you need to perform to accomplish your goals. We highly recommend that you read these two posts first, as they set the stage for this one. How Often Should You Work Out? For the average person, the ideal training frequency is 4 days a week. Given that there are 7 days in the week, it’s best to be active more often than not. You’re probably thinking that 4 days a week sounds like a lot. However, if you implement the four strategies outlined in Making Time for Exercise when You Work 16 Hours a Day, getting to the gym will be an efficient routine that’ll begin to feel like a habit. Also, keep in mind that 4 days a week is simply a guideline. Resident doctors and other busy professionals do not have stable or predictable schedules. Therefore, it is acceptable to have a range of training frequencies. You can train anywhere from 2-5 days a week and still get great results. Aim for less training sessions on busier weeks, and more training sessions on lighter weeks. If your schedule forces you to make a gym schedule in any other pattern from this, that is okay. Just pick up where you left off and keep going. The habit of making it to your gym session, and maintaining some type of routine is more important than the schedule, or the actual routine itself. Make whatever modification is necessary, but aim to average approximately 3-4 sessions per week, every single month. That is only 12-16 training days a month. Even better, these sessions only need to be 30-35 minutes a day. Just like the interest on your student loans, it begins to add up quickly. How Often Should You Workout Your Abs (or any Muscle Group)? Another big question that is often debated in the fitness realm is how often each muscle group should be trained. If you train your arms today, when is it reasonable to train them again? Can you train them every day? Is once a week sufficient? For every major muscle group, the ideal number of times to train them is twice a week. This is also in line with the CDC recommendations for muscle strengthening for adults. You can train your legs, chest, back, shoulders, arms, and core two times per week. These major groups only need 2-4 days to recover. If you only train 30 minutes a day, 3-4x a week, how can you possibly hit each muscle group twice in a week? The answer is simple: compound exercises. It is important to fill your workout routine with compound exercises, especially the 6 movement patterns that were discussed in Part 1 of this series. Compound exercises are an easy way to hit 2-3 muscle groups simultaneously, helping you save the little precious time you have. With that said, it is OKAY to train them once a week if you simply cannot train each muscle group two times in that time period. Do not forget, something is ALWAYS better than nothing when it comes to exercise. There are very few things in life you could say that about. How Long Should You Workout Each Day? The length of time that you need to spend at the gym is not as critical as you may think. The average person assumes that you need to spend at least 60 minutes in the gym in order to achieve results. There is one major problem with setting an absolute time frame for your workout. Different people will be able to accomplish a significantly different amount of work in the same amount of time. Someone could spend 30 minutes in the gym and accomplish a lot more than someone who spends 60 minutes at the gym. It is all about training smart, and training efficiently. Unless you are lifting really heavy weights, or training for some sort of competition there is no reason to spend countless hours per week at the gym. Believe it or not, 30 minutes is enough time to get a lot of work done. Busy individuals don’t have much time to waste, and therefore, their workout sessions need to be compact! Check out 9 Simple Ways to Shorten Your Workout to find strategies we use to get in and out of the gym while still getting great results. For busy individuals who have very little time to train, it is best to design workout plans that train the full body at each session. Most routines will dedicate an entire session to just one muscle group per day. For example, they train arms on Monday, chest on Tuesday, legs on Wednesday etc. This is a big no-no! 1) Upper/Lower Body Split– dividing your training into two halves. You train your upper body on one session, and your lower body on the next, and you keep alternating. 2) Full Body Split, where you train both upper and lower body at each training sessions. You can’t go wrong with either approach, but for doctors and other busy professionals, I recommend the Full Body Splits. This is because Full Body splits ensure that you train your upper and lower body evenly, especially if your schedule is unpredictable. Download Your Copy of This Printable Workout Template Below! This exercise template should ALWAYS be preceded by a warm-up routine. Warmups serve to prepare your body for physical activity, and as such, will decrease any risk of injury. We warm up in 5 minutes. How? We wrote about it at The Most Efficient Warm Up Routine for Busy Individuals. 1) Efficiency: It focuses on compound exercises for the majority of the workout so that you can spend less time in the gym while maximizing your progress. 2) Balance: It balances the amount of work you perform on your upper body and lower body, as well as the amount of work you perform on your anterior muscles (chest, quads etc) and posterior muscles (back, glutes etc). Once you have finished Session 4, go back to Session 1 and make a small modification to the Major Compound Exercise. 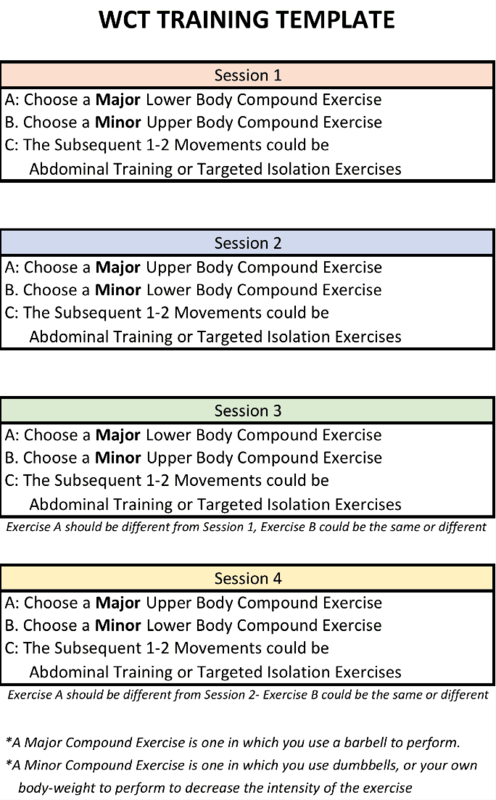 Then you will do the same with Session 2- making a small modification to the Major Compound Exercise, and so on. How do you make a small modification? The first principle of exercise routines states that the exercise stimulus must change over time. Every time you repeat a session, there must be something different about it. There are many factors that you can modify, but try to use something that can be easily quantified. Refer back to Part 2 to identify which rep ranges and sets are ideal for your goals. If you are a busy professional, I recommend that you stick with 3 sets of 7-12 repetitions for the majority of your training. By implementing this strategy, you are constantly introducing a new progressive stimulus to your body to drive stronger adaptations over long periods of time. You can also change the stimulus by using a different variation of the compound exercises every 4-8 weeks. *Bonus tip: Superset every Exercise after Exercise A to save even more time. When performing your workout routine, always start small. Begin with very light weights that you can perform easily. Allow your body to slowly accustom itself to the exercises. 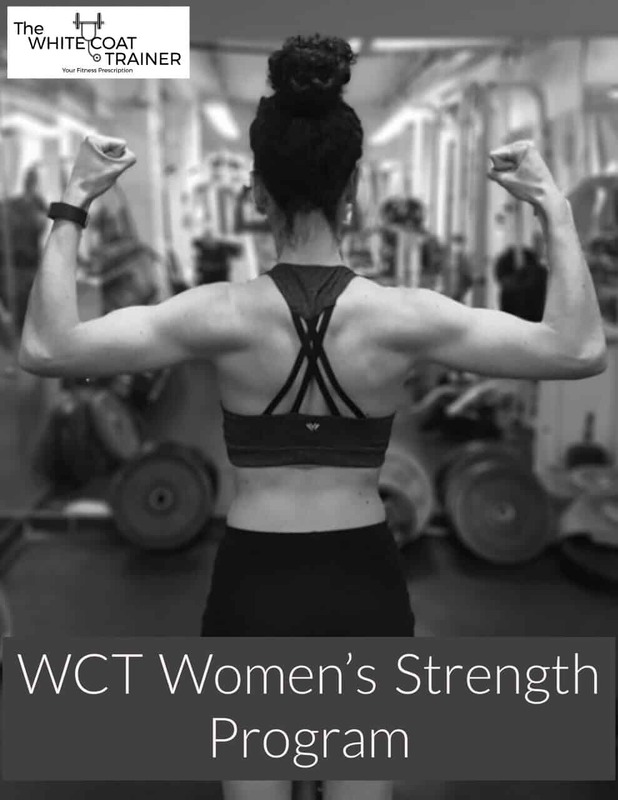 Learn the proper technique in a safe manner to maximize the benefits of the compound exercises. Don’t forget, we are in it for the long haul! There is no reason to go all out on day 1 or even day 40. Let your body grow stronger over long periods of time. Modify each workout gradually. Don’t lift 185 lbs today and then 205 lbs the next session. This is a recipe for failure. Only increase the weight by a very small margin (5 lbs max), or increase the number of repetitions performed by only 1 rep per session. It’s not much, I know. But trust me, you want this process to be slow, controlled, and easily adaptable. By taking your time, you ensure that you can continue to make progress from session to session. There is nothing more satisfying than seeing the progress you have made in your life. Think back to anything in your life, and see how far you have come. I can tell you with complete certainty- the feeling of accomplishment that you get from exercise and fitness is unparalleled. Oh, and by the way, progress photos are worth a million words. Any routine is better than no routine. Hold yourself accountable. Make it to your workout sessions, in whatever manner you need to. Make your health a priority, just like you did with your career. Fitness and construction are very similar. Every building is constructed by laying down one brick at a time. Keep laying your bricks and you will build something anyone would be proud of. So there you have it. These are simple yet effective strategies you can use to create your own personal exercise routine. Regardless, workout routines don’t have to be complicated. They don’t have to be long. It doesn’t have to be difficult. It only requires you to make a decision. Be sure to check out The Only Exercises You Need to Achieve Your Fitness Goals to learn the best exercises I recommend you use, with this template. So, what other exercise questions do you have? Post your comments and questions below. Share this workout template if you found it useful. 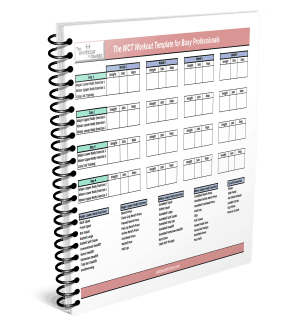 And don’t forget to download a copy of this workout template to get your training started! 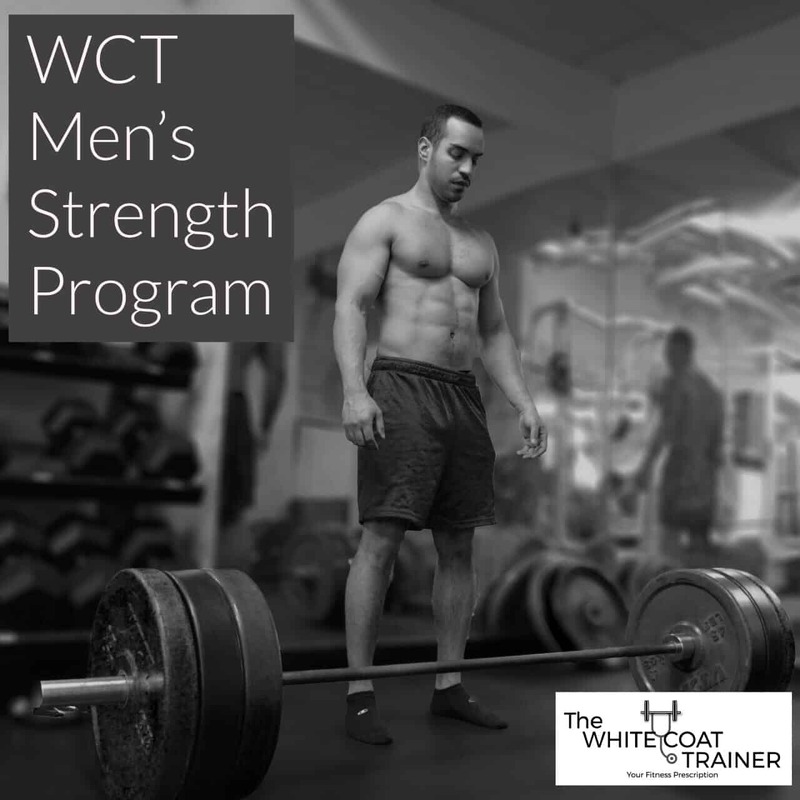 would You Like To Download The WCT Workout Template For Free? 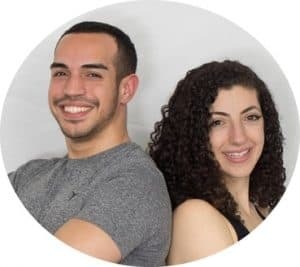 Alex & Brittany Robles are the founders of The White Coat Trainer, a site dedicated to improving the health and wellness of busy individuals. They both hold MD degrees and just like you, they lead very busy lives. They believe that anyone can achieve a higher level of fitness by implementing a few simple strategies into their lifestyle! I have to tell you all, I have read all your posts up to this point and your insight is incredibly helpful. This training template is golden! It all makes so much sense when I read the rationale; it would have taken me forever to figure out on my own, though. (…and wasting time is not something I have time for!) Thank you for such clear and concise direction! Thank you very much for the kind words. I am very grateful that you found it helpful. Let us know if there is anything else in particular you would like us to write about. 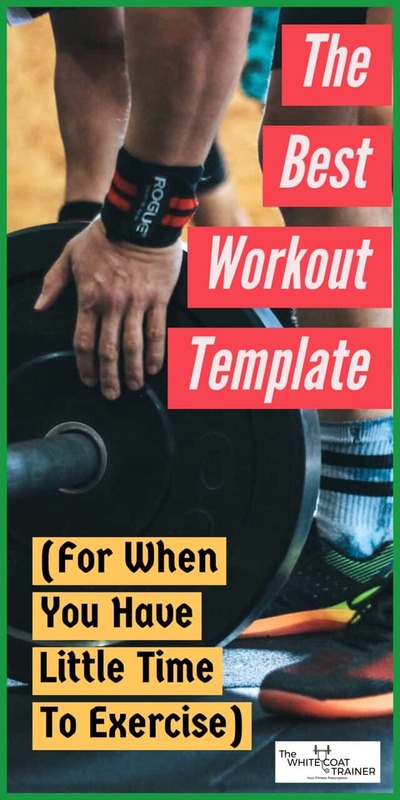 Thank you for providing these templates.Each session has only 3 exercises….is that enough or I can add other exercises?Also I like to do cardio 3 times a week. What would be the best way to combine cardio with weights? You’re welcome. You can certainly add other exercises to the template. 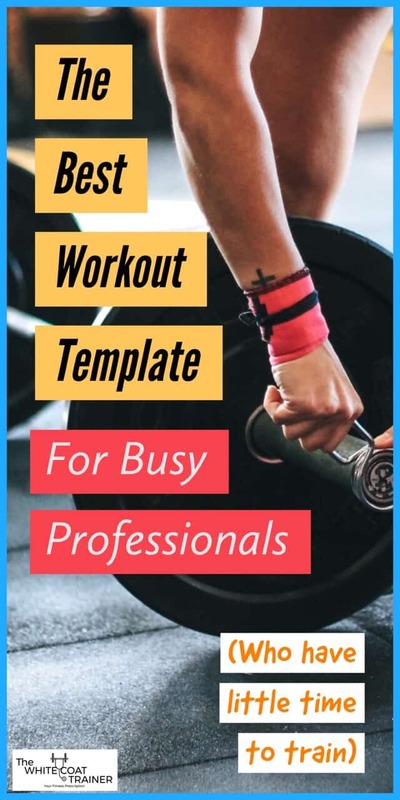 The reason why there are three exercises per day is because this template was designed to be done in 35 minutes per day. If time constraints aren’t a big deal for you, you can add more exercises. You can combine cardio with weights in many different ways, with the most common method being on your off days. You don’t want to do anything excessively strenuous or it may take away from the recovery of the weights. Other people also include a short cardio workout after their lifting. Either approach is fine. I speak more about this in the post titled A Proven Cardio Workout to Lose Weight Despite Your Busy Schedule. Hope this helps.